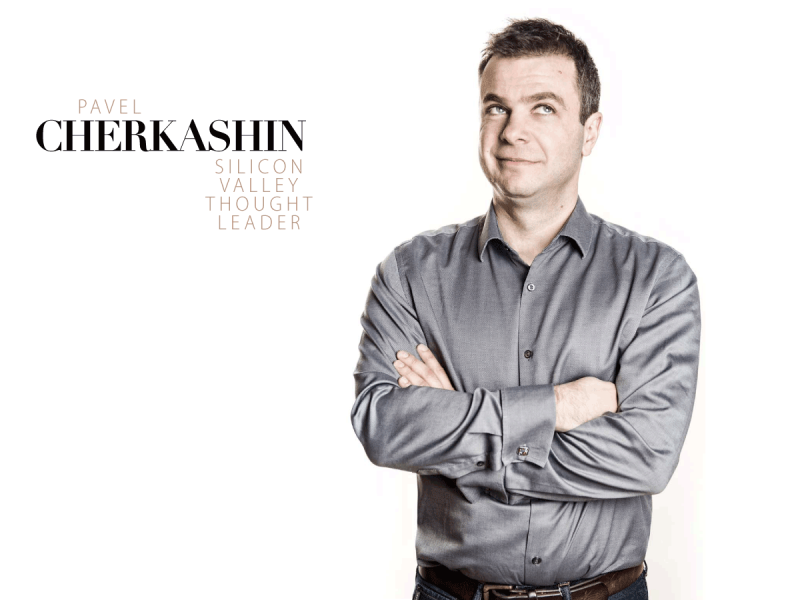 The Country Manager at Adobe Systems for Russia, the GM of online services for Microsoft, the Country Manager for ORACLE in Russia and CIS countries — these are just a few professional highlights of our featured guests, Pavel Cherkashin. Cherkashin holds a Ph. D. in Computer Science and has a remarkable executive experience in some of the world’s most affluent tech companies, including Adobe, Microsoft, and ORACLE. Increasing Adobe Systems sales by ten times in just three years and building and managing a team of 3,000 people for the region of Russia are some of the milestones of Pavel’scorporate career. After spending almost a decade in the corporate world, Pavel went back to where it all began – the private sector. Cherkashin resides in the Bay Area with the Silicon Valley as his backyard. Today he is a private entrepreneur and a venture capitalist invested in helping promising startups go global. But this journey to the top of the tech pyramid began years ago in the midst of the chaos that followed the fall of the Soviet Union back in the 90’s. This is an incredible story of a computer scientist who made it big in the corporate world, built wealth in the private sector, and moved on to introduce global perspective to the Silicon Valley. Pavel, you are a resident of Silicon Valley, the global center for tech innovations. How do you like it? market of creative minds, ground-breaking ideas, and technologies. It encourages people with great potential and investors with vast capital to get together and make great things happen. go back to the private sector? My career with Microsoft and Adobe Systems gave me an invaluable experience and provided a unique insight into the internal workings of a corporate machine. If you succeed in a corporate world, your decisions are justified. If you miscalculate and make a mistake you take a big blow. Corporate structure makes the decision process extremely difficult and risky because one mistake can launch a chain reaction that would affect the entire organization. I am a risk-taker. What I like about the private sector is the ability to make my own decisions and bear responsibility for the outcome. What are the main qualities of a successful entrepreneur? An entrepreneur by definition is someone who has the ability to make strategic decisions in a constantly changing, uncertain environment. A corporate officer may postpone a decision and delegate or share responsibilities; an entrepreneur needs to act fast. The ability to make decisions fast and bear responsibility for the outcome are musts for any successful entrepreneur. How did you earn your starting capital? Oh… It was back in my college years during the 90’s, right after the collapse of the Soviet Union. It was the most outrageous time in the history of Russia, with economic turmoil, sky-rocking crime rates, mobs, corruption, you name it. My friends and I decided to open a travel agency that would cater to foreigners visiting Russia. Since I was fluent in English I was a private tour guide for lots of fascinating business people who dared to visit Russia during that criminally romantic era. A few years later our travel agency became a large tour operator, carrying out charter flights and partnering with hundreds of foreign companies all over the world. Did anyone you met during those times leave a lasting impression on you? I met lots of interesting people during those days but one of them impressed me the most. It was a retired executive of General Motors. He came to Russian at his own expense to provide free consulting services to the Russian automaker “GAZ”. I was deeply struck by the fact that a person was willing to travel to a foreign country at his own expense and share his knowledge and experience for free to benefit our auto industry. intelligence. What is your take on global robotization and AI? One of the main concerns over robotics is that it may revolutionize the workplace, taking over some of the jobs traditionally held by humans. I believe that evolution of AI is a great thing that could spare people from hollow routine work and allow them to engage in more meaningful jobs that help to realize one’s full potential. children? Would you encourage them to get a career in tech? I strongly believe that children should be allowed to choose for themselves when it comes to their hobbies and career choice. That’s what my parents did when I was a child. I was involved in a great number of activities and sports as a kid, anything from chess to horseback riding, and my parents always allowed me to choose what I wanted to do. I find this a great parental strategy because it helps children develop in their areas of strength. How do you see the future of cryptocurrency? Is it going to last? Absolutely! Traditional currencies are outdated and do not meet current market needs. They’re inconvenient for micro payments, create difficulties in international transactions, and are influenced by political factors, to name just a few issues. Cryptocurrencies will solve all of these problems and more. So far, its biggest flaw is volatility (instability) but it is only a matter of time until this matter is solved. I have been on the barricades of three revolutions, two in Russia, in 1991 and 1993, and one in Ukraine during the Orange Revolution in 2004. But perhaps the most extreme thing I have ever tried was an expedition I did as a kid to the Arctic Circle on the Kola Peninsula. The conditions were extreme, it was so cold that I got frostbite on my fingers, nose, and ears. I was severely dehydrated and utterly tired. I was only 14 years old at the time. This expedition taught me to push myself beyond my limits and survive in extreme conditions. It was the best training for my character and willpower.